Finding a good pair of shoes with the perfect fit and style doesn’t have to be a challenge. Iowa’s welcoming and expertly-staffed local shoe stores will make things easy. 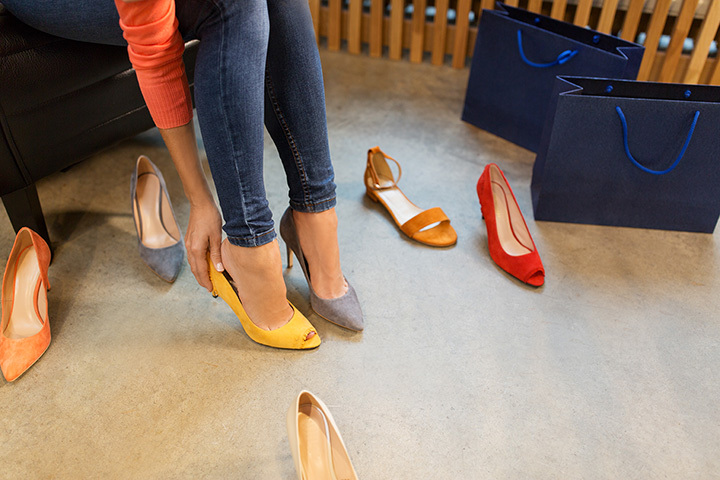 Whether you’re looking for supportive work shoes, a pair of dance heels or a pair of running sneakers, you’ll find it at the 10 best shoe stores in Iowa. Featuring footwear, outerwear and accessories, the Full Kit can have you looking sharp in no time. For footwear, the Fully Kit specializes in dope shoes with style and substance, including the latest and hard to find releases from Adidas, Converse, Saucony and Nike. If you are looking for a fresh find in footwear, the Full Kit has the full selection of stylin’ shoes and kits. Featuring a whole lot more than just running or walking shoes, Fleet Feet Sports of Des Moines is the metro’s hub for a running lifestyle. Carrying the latest technologies in running shoes, Fleet Feet Sports also features other running essentials including socks, athletic tracking equipment, sports bras and technical outerwear. The social calendar at Fleet Feet Sports is also brimming with group runs, training events and other community orientated activities. The name says it all at this locally owned retail shop in Coralville, and besides running, this friendly establishment also provides first-class service to find the right shoe for you. Featuring several different brands and an array of models to choose from, including industry leaders like Brooks, Hoka and Saucony, We Run also carries nutritional items, running outerwear and some socks to match the shoes. Locally owned and operated, the Dancewear Place of Davenport is one of the best sources for all things dancewear in Iowa. Featuring socks, leotards, compression clothing and a wide selection of dance shoes, the Dancewear Place caters toward youth ensembles and professional dancers alike. If you can’t make it to Davenport, ordering off the Dancewear website is as easy as a click of the mouse. Your one-stop shop for all things running in Cedar Rapids and throughout the corridor, the Iowa Running Company is much more than just a place to get a new pair of running shoes. While they do carry some of the latest releases from reputable companies like Altra, Asics, Brooks and New Balance, and a competent staff to find the right fit, Iowa Running Company also provides a community with group runs, special events, and a friendly place to talk about running. Locally owned and operated since 1991, Running Wild allows you to do just that across the state of Iowa. To help you really run wild, this friendly retail shop features top-of-the-line running brands like Nike, New Balance, and Saucony, as well as competent employees to help you find the right fit. Also offered by Running Wild, any accessory you need to run the distance including watches, recovery sandals and nutrition items. Featuring over 130 different styles of steel-toe boots, if you want to buy some quality work boots at a local store, Quality Cobbler of Muscatine is right for you. Featuring top-shelf selection when it comes to steel-toe boots including from brands like Red Wing, Keen, and Dr. Martens, all the steel-toed shoes you find at Quality Cobbler are guaranteed to last a long time. Peak Performance began and continues to be one of the most popular running stores in Omaha, Nebraska. So popular in fact that they expanded over the border into Sioux City. With the new shop came the same service that has made Peak Performance so popular in Omaha, as well as the long line of running shoes they carry on the shelves. Whether you are a first-time runner or experienced marathoner, Peak Performance can have you running at the top of your game in no time. For friendly service and the right fit, it’s worth your time to check out the Fitting Place in West Des Moines. Featuring the best brands for a working professional on their feet all day, the Fitting Place not surprisingly goes the extra mile to ensure the exact right shoe for you, including customizable molding options. If you are on your feet all day and experiencing any soreness, fatigue or foot weakness, be sure to stop in the Fitting Place and find the service that is right for you.